LocoLobo Events - Speakers and Celebrities available for your corporate event, party, fundraiser. You can find inspirational speakers through any speakers bureau, or you can hire an agency that deals specifically with booking entertainment. At locoloboevents.com, we keep you, the client, in mind as we search for talent and secure bookings for your event. By answering a few questions about your event and your attendees, we can help you choose the most appropriate speaker to deliver a meaningful message. 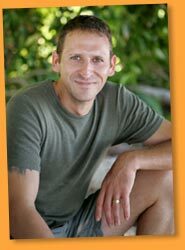 James Miller (Survivor:Palau) was born and raised in Hohenwald, Tennessee, then moved to Northlake, Illinois when he was 13 years old. In 1990, he graduated from West Leyden High School. Miller was employed by the United States Navy from October 1990 until October 1992 as a seaman apprentice. He received an honorable discharge from active duty. He then attended Southeast College of Technology in Mobile, Alabama, where he studied computer information systems. He then transferred to Faulkner State University, where he studied biological science. Miller currently operates a crane at a steel company. He previously worked as a maintenance operator, torch operator and general laborer. Miller enjoys biking, weight-lifting and adventure-seeking. He describes himself as outgoing, funny and always happy. 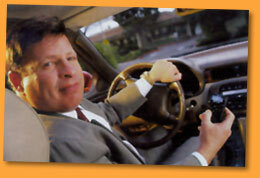 Nathan Schulhof, the father of the MP3 player, holding the Listen Up player, the first portable, digital audio device. 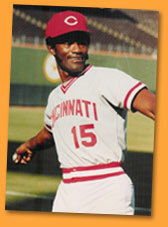 During the late 1970's, George Foster was one of the most powerful sluggers of the game. In 1976 he hit 29 homers for the Big Red Machine and batted .429 in the 1976 World Series. The 1977 season was his career best. He hit 52 home runs, the most by any player in a season in the 1970's and was named the NL MVP. Since his baseball retirement in 1986, George has conducted baseball camps and clinics to boys from age 7 to the Minor League baseball level. He was the roving Minor League hitting instructor for the Cincinnati Reds from 1997-1998. Currently, George attends corporate functions, adult fantasy baseball camps, and golf tournaments. He also hosts youth baseball clinics in Ohio, Florida and California. In The ZoneÂ™ performance Training. Many Corporations and various organizations get to hear many terrific speakers, but often times the message doesn't make it home because it didn't connect. Mark's message connects, energizes and moves people to a new level of thinking and action. In as little as 20 to 90 minutes of learning and laughter, he'll help you overcome life's hurdles, see new possibilities, turn things around, and move to the next level of success! This page shows a sample of the speakers that LocoLobo Events can book for you. If you're not sure who you want then just contact us by using our Find Talent request form. We make booking entertainment and booking speakers easy! Here at locoloboevents.com, we specialize in bringing together speakers and events. We can negotiate a deal with virtually any celebrity or inspirational speaker you would like and get him or her to your function. If you have difficulty sorting through thousands of speakers and selecting the one that is right for your audience, let us help you with your search.